When it comes to controlling your thermostat’s features, you have the touch. 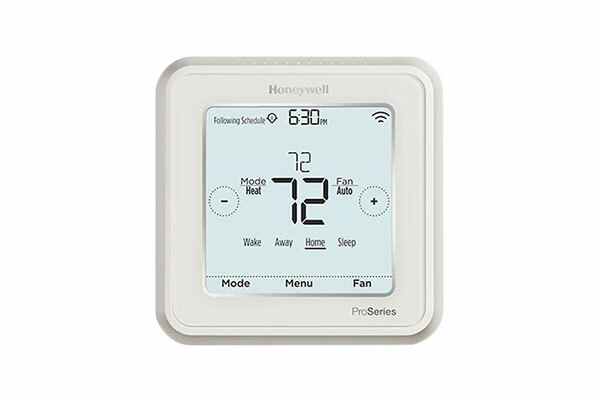 Castle Air Cooling & Heating provides and installs a variety of thermostats by Honeywell, including the latest smart thermostats that will provide you with convenient and dependable comfort control. You can use your Wi-Fi-enabled device (smartphone, tablet, computer), the free app on your smartphone/tablet or the thermostat’s touch screen. Every touch is convenient, with the goal being your comfort. Features such as Auto Alerts and Smart Response are intuitive and indispensable for keeping your system running and your home comfortable.